The bush honeysuckle shrub (Diervilla lonicera) has yellow, trumpet-shaped flowers that look very much like honeysuckle blossoms. This American native is very cold hardy and undemanding, making bush honeysuckle care a snap. Read on to learn about growing Diervilla honeysuckles and other Diervilla shrub information. You can see bush honeysuckle shrubs growing wild in the Eastern part of the United States. They grow to 5 feet tall and 5 feet wide. 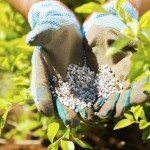 These plants provide year-round interest in a garden. The leaves emerge dark red, then turn deep green, developing bronze tones. The yellow flowers are small and without fragrance, but clustered and very attractive. They open in June and the shrubs produce them through September. The honeysuckle-like blossoms turn red and orange as they age. Butterflies, moths and hummingbirds come to sip the nectar. Diervilla shrub information affirms that the leaves of the bush honeysuckle shrub can provide exciting autumn displays. They can explode into yellow, orange, red, or purple. If you are thinking about growing Diervilla honeysuckles, you’re in for a treat. 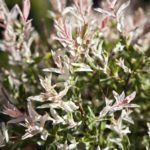 These are low-maintenance plants that do not require coddling and bush honeysuckle care is minimal. 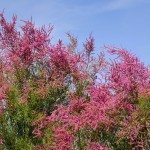 These shrubs grow best in areas with cool summers. These include regions within U.S. Department of Agriculture plant hardiness zones 3 through 7. When it is time to plant bush honeysuckles, choose a site that gets direct sun or at least partial sun. 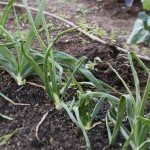 They accept most types of soil types as long as it is well draining. Drought resistant, the plants still appreciate an occasional drink. When you start growing Diervilla honeysuckles in your backyard, they may not get as big as those in the wild. You can expect the shrubs to get to 3 feet high with a similar width. Diervilla shrubs are suckering plants, so it makes sense to ask “Is bush honeysuckle invasive?” The fact is, according to Diervilla shrub information, the native type of bush honeysuckle is not invasive. However, a look-alike plant, Asian bush honeysuckle (Lonicera spp.) is invasive. It shades out native plants in many parts of the country when it escapes cultivation. Read more articles about Diervilla.